I clicked this on in the “Beat Dystonia” site. I’m real low tech.so I talk with people by email or phone. I’ve been in remission from spasmodic torticollis(cervical dystonia) for about 34 years. I am NOT cured. I doubt I ever will be. Back in 1977, I never dreamed I would ever get better. There’s tons of things to tell, like almost anyone who has this rotten disorder. After the usual “search” for help, I finally ended up at the U.of Miami Medical Center/Jackson hospital in Miami. I was lucky, although I certainly didn’t think so then, to be under the care of Dr. Jacobson, a neuropsychologist, part of the Dept. of Psychiatry there. Of course, I had been to many neurologists, neurosurgeons,orthopoedic Drs., chiropractors, etc. I’m convinced that biofeedback, and some “talk” helped me to go into, and stay in remission. As some of you may know, both biofeedback and neurofeedback are legitimate, real forms of therapy. I’ll be glad to talk with, and provide any further information to anyone who wants it. I believed then, and now, that remission has to be the goal. I know we all won’t get it, but I think it’s an attainable goal. I feel that only if I’m completely honest about my experience with Torticollis, can I even hope to be of help to anyone. I forget if I mentioned that for about 8 years, I’ve been a contact person with the N.S.T.A. in Fountain Valley, Ca. My name, email, and phone number have always been in their magazine, which is published four times a year. Also, for what it’s worth, maybe because I’m low tech, I don’t believe in all kinds of secret or hidden names. Although I completely respect people’s right to use them. As you might sense, I’m a “gabber.” That’s good, since I’m not shy about discussing Dystonia, the higher suicide rate, associated with it, etc. My main shortcoming…. I need to listen to a note I wrote to myself a few years ago. “Quiet your mind and listen” And yes, I do feel an immediate, empathy and closeness with complete strangers who suffer from this. Sincerely, Dan Sarper, Aventura, Florida. 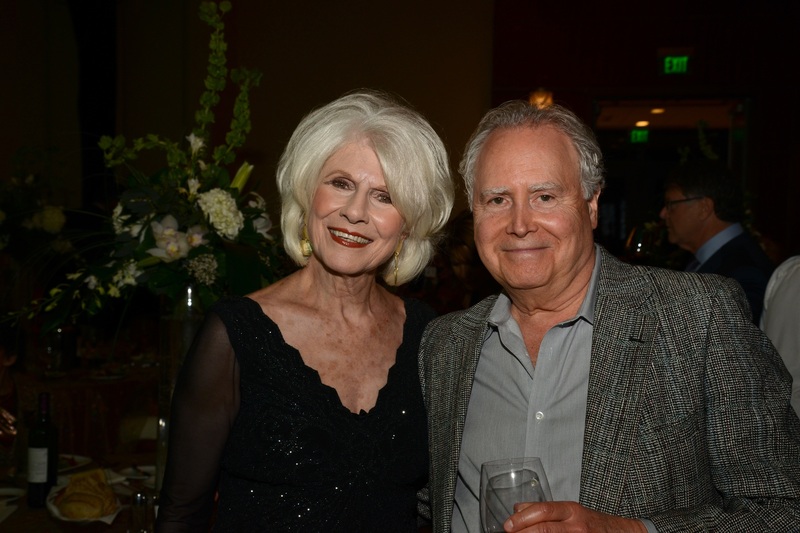 Here is Dan at an dinner event with Diane Rehm, who hosts her own radio programme “The Diane Rehm Show”.